Q & A: Can Safety PLCs be used for Lockout? The ques­tion of lock­out and the use of safety PLCs as a means to meet the lock­out require­ments comes up more and more fre­quently these days. 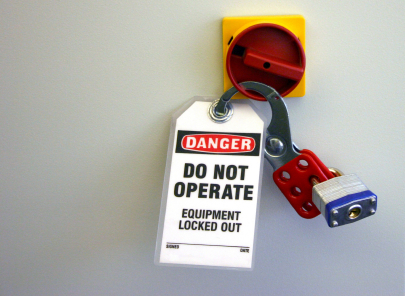 Can Safety PLCs be used for lock­out? Safety pro­fes­sion­als don’t always agree on this con­tro­ver­sial top­ic! Dur­ing the Free Safety Talks that we did with Schmersal Canada and Frank­lin Empire, this hot ques­tion came up, so I thought I’d cov­er it off in a video. If you need some spe­cif­ic help with an applic­a­tion like this, please get in touch with Doug dir­ectly. There is a lot to say, and in this video I try to cov­er off the reas­ons why Safety PLCs and Lock­out don’t always mix well. Ques­tions? Leave a com­ment below or email Doug. Thanks Doug. Between talk­ing with you last week and watch­ing this video, I’ve learned a lot. Lol… Lost me on the math part, but, I under­stood the gen­er­al concept of what you were try­ing to say. A very well done top­ic. Thank you! Don’t worry – the cal­cu­la­tions aren’t the heart of the story – the com­par­is­on between the reli­ab­il­ity fig­ures and the fact that CSA Z460 calls for lock­out devices to be exclus­ively mech­an­ic­al is the import­ant part. Until there is suf­fi­cient real-world data on the applic­a­tion of hybrid devices with mech­an­ic­al, elec­tron­ic and soft­ware ele­ments, we are not going to have enough inform­a­tion to know if these sys­tems can be used in high-risk applic­a­tions. Until then, a high level of mech­an­ic­al reli­ab­il­ity is required. Glad you found the video help­ful. Let me know if you have any oth­er ques­tions!